You’re getting ready for your travel nursing adventure and there’s a lot to consider – what to pack and what to expect when working in a city that’s new to you. 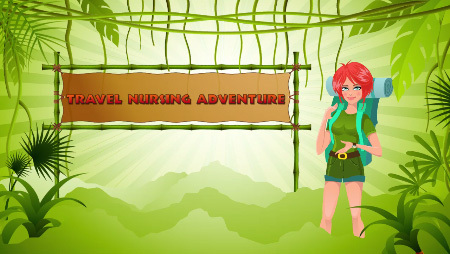 At Aureus Medical, we’re here to help you navigate the jungle with survival tips and advice. Let’s start with attitude. There’s no better way to win over a new team than to walk through the door with an open mind, ready to jump right in. Be confident in your skills, be a team player, and deliver your very best patient care. Be prepared. Bring your driver’s license, a copy of your professional license, certifications, and any required paperwork. Be sure you know where you’re going on your first day, what time to arrive, and what to plan for such as an orientation and testing. Have your instructions such as directions, where to park, what scrubs to wear, and other specifics from your recruiter. Stay in contact. You may have questions, need some additional support, or just want to chat. Your recruiter is just a phone call away. And remember, while you’re on assignment is the time to be thinking about the next one! Make your home your home. Aureus will provide all the essentials. Consider packing pictures, your favorite tablecloth, or other personal items that will warm up your living space and make it yours. Now that you’re prepared, it’s time to begin your career adventure. If you haven’t already connected with Aureus Medical, it’s time to get started!